We have all handed our cell phones or iPads to our kids at one time or another, just to keep them occupied. Maybe you have been in a doctor's waiting room or sitting outside dance class or at older brother's baseball practice. You might have felt a little guilty for giving in to the whining or for being unable to figure out how to quiet your fussy child. 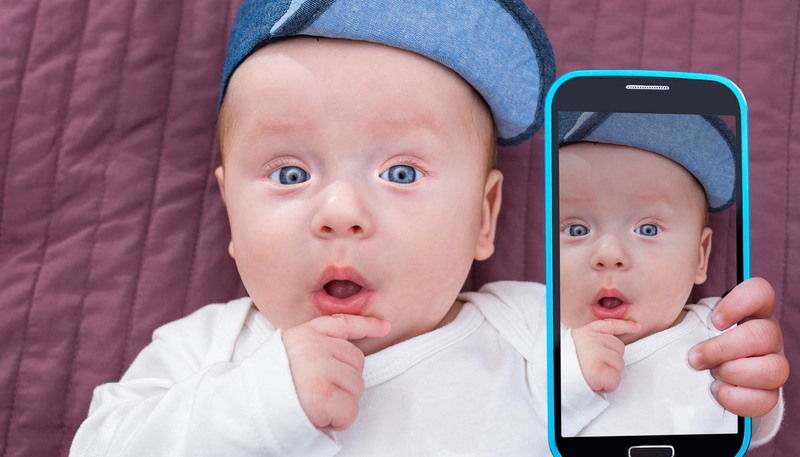 Did you know there are apps out there designed just for babies and toddlers? You no longer need to rely on finding appropriate clips on YouTube or other creative ways to distract a fussy toddler. 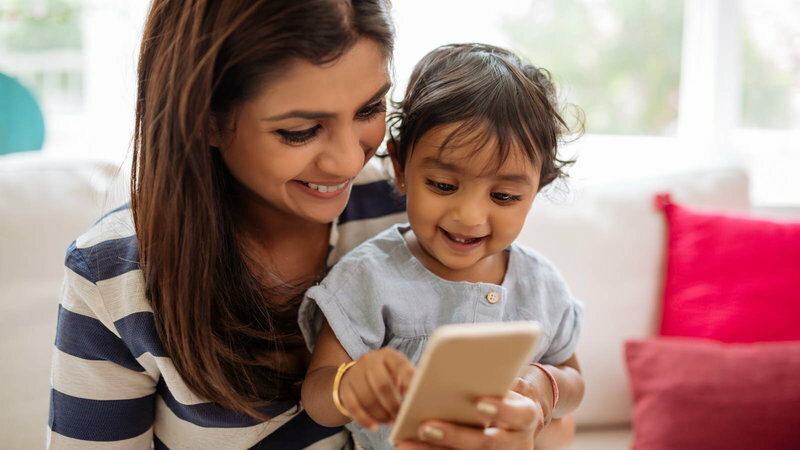 These are easy apps that will engage your young child. A simple award-winning music app, Baby’s Musical Hands makes sounds and starbursts when the screen is touched. The iPad version includes 15 squares to touch, while the iPhone and iPod have 10 squares. The multi-touch feature is supported, so babies (and toddlers) can create music when touching multiple squares. Fun! We know we shouldn't wake a sleeping baby, but sometimes it has to be done when older sister has gymnastics class or there's a school pickup. An overtired baby is no fun. You can soothe baby back to sleep with this app that gives you five scenes you (and baby) might recognize from Fisher Price products. Familiar scenes and soothing music can be the white noise baby needs to doze off in a crowd or a noisy waiting area. Try to pop all the bubbles on the screen! This app emulates bubble wrap bubbles. It is very simple, and endlessly entertaining for little ones. This early learning app for toddlers reinforces Pre-K knowledge of the alphabet, numbers, colors and shapes—with colorful fish! There are eight different modes, including one that is just for playing with the fish. The simple and intuitive interface makes it easy for toddlers to play alone. iMommy lets toddlers and young kids take care of their own virtual baby. Feeding, diaper changing and game playing are included. There is also a free "lite version," so you can check it out to see if your child will enjoy the full-version game. Who's in the barn? As your baby or toddler touches doors on the screen, animal animations are revealed! Babies enjoy seeing who is behind the doors. A toddler can guess which animals are there by their sounds, and learn some sight words. Two language packs are available (Asian Languages and European Languages) for an additional 99 cents each. You can also record your own voice (or have a grandparent participate that way, too! ), and the written words using any alphabet are supported by your device. Does your toddler love puzzles? This interactive puzzle game has animation, sounds, and mini-games included. Your older toddler will work on fine motor skills, and letters, numbers, colors, and shapes are reinforced. 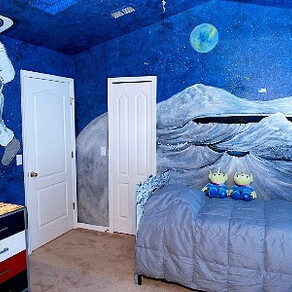 Kids' favorites, like animals, objects in space, and fish also appear. New puzzles are added monthly. Tappy Tunes comes with more than 100 classic and popular children's songs (with the full list available at the iTunes app store). Kids can tap anywhere on the screen to make the notes play. There are also graphics appropriate to the songs, a slider to speed up or slow down the music, jukebox mode, and an endless loop feature to lull baby to sleep! Toca Boca has a full suite of apps for kids, from Toca Train to Toca Band to Toca Doctor. With Toca Hair Salon 2 kids can cut, color, and style hair, while Toca Kitchen lets them select and prepare food for different characters. These games cannot be "won" (or lost), and they provide toddlers with endless creative play. There are lots of coloring and drawing apps for older kids, but for babies and kids too young to color and draw, there is Uncolor! Babies simply swipe their fingers across the black screen to uncover the hidden drawing. Every picture has a special surprise.